Family roles in addiction can be complicated, especially when you are the adult child of an addicted parent. Understanding these roles is essential to recognizing the patterns present within your family and gaining deeper insight into each person’s methods of coping. For adults who find themselves parenting their parent, breaking free from their dysfunctional role can be particularly difficult and it is essential that your loved one’s treatment program has supports available to help you cope with the changes brought on by recovery. Addiction is not a disease experienced only by the individual. Rather, it affects entire families by creating profound emotional and behavioral disruptions that reverberate throughout the group. As drug and alcohol addiction becomes an ever-greater part of the family experience, family members often take on distinct roles informed by the presence of substance abuse and the behaviors of the addicted person, often reflecting and producing in deeply dysfunctional relationships and individual distress. Often, conversations about the impact of addiction on family members and family roles in addiction center are geared toward parents or partners of the addicted individual. However, adult children of addicts are also significantly affected by their parent’s substance abuse and face unique challenges with their family role due to the nature of the parent-child relationship. More specifically, many adult children of addicts find that they have become a parent to their parent as the “natural” course of caretaking is reversed. This can create significant internal disruption during active addiction and must also be addressed during addiction treatment in order to make recovery a positive experience for everyone. Within the mental health and recovery communities, the impact of addiction on families is typically understood via family systems theory, “which holds that individuals are inseparable from their network of relationships.” According to the theory, each family is a feedback loop in which the family system is impacted directly by each individual within the group and the dynamics that evolve between them. In other words, the self exists not in isolation, but is continuously formed by the activities of their family members, creating a unique and constantly changing ecosystem. When addiction enters that ecosystem, it thus has profound implications for both each individual and the dynamics of the collective. The Enabler: The enabler seeks to protect their loved one from harm, typically by making excuses for their family member’s behaviors and taking responsibility for the consequences of addiction. For example, they may invent stories to explain away their family member’s absence at social events, get their car fixed after a drunk driving accident, or pay off their loved one’s debts. Often, the enabler is in deep denial of the presence or severity of the substance abuse problem and avoids addressing it. The Scapegoat: The scapegoat is the person held responsible for family problems, even when those problems are not caused by that individual. The Mascot: The mascot is also known as the clown due to their propensity for using humor as a way to deflect family stress. This person is often regarded as merely being immature and lacking understanding of the severity of their problems, but their behavior actually arises as a way of coping with unbearable pain. The Lost Child: The lost child copes with their family member’s addiction and the dysfunction that arises around it by withdrawing from the group, seeking emotional protection in invisibility. The loved ones of addicts can fall into any of these categories; this is in part informed by the roles occupied by other family members. They may also take on different roles at different times or exhibit characteristics of multiple roles. The specific roles they take on inform not only how they are regarded and treated within the family—including by the addict—but also how they see themselves and understand their relationships with others. The parent-child relationship is perhaps the most significant relationship a person will experience in their lifetime, informing the fundamental formation of personality, self-image, and how you relate to the world around you. While this influence may be greatest in early childhood, particularly at pivotal points of development, it also continues throughout your life. As such, disruptions to healthy parent-child attachment and dynamics can have profound consequences regardless of when they occur. When a parent is struggling with addiction, the stability, security, and caretaking that are critical for the child—even an adult child—to experience and form the basis for healthy attachment are compromised and the parent-child roles are often reversed. As a result, many adult children of addicts find themselves parenting their own parent. Sometimes parenting your parent entails worrying about them the way a parent typically worries about a child. Many children of addicted parents will check in on their parent to make sure they are safe, wonder about their whereabouts, and experience great anxiety about their wellbeing. This can not only have a tremendous impact on the parent-child relationship but may also translate into other areas of life. As one woman reports, her worry about her addicted parents translated into feeling extreme anxiety whenever anyone in her life doesn’t answer their phone immediately, as she fears they are hurt or dead. If your parent’s addiction began when you were a child, you may also have taken on tasks and responsibilities your parent should have been responsible for, including making meals, paying bills, or caring for siblings. As a result, you were exposed to stressors inappropriate for your stage of development and were stripped of the opportunity to enjoy your childhood. As you aged, you may have foregone your own ambitions and given up professional, social, and self-growth opportunities in order to remain with your parent to ensure they had a minimum level of safety and stability, preventing you from living up to your potential and experiencing a healthy, fulfilling life. While some forms of parenting your parent may have been—or continue to be—inevitable and necessary to preserve your own security, you may also have fallen into a dysfunctional family role. In particular, children who feel compelled to parent their parent often inadvertently become enablers. Admitting the true extent of damage your parent’s addiction has caused as well as the severity of suffering—both yours and theirs—can be unbearable. Denial and compensation may then be subconscious coping mechanisms that shield you from acknowledging the painful reality of addiction. Additionally, your deep love for your parent can drive you to want to protect them from harm, causing you to shield them from the consequences of their own actions and inadvertently fuelling their own denial. Enabling, however, is not just about protection and denial. In an enabling relationship, the codependent is also often driven by a deep sense of inadequacy. In the absence of the self-confidence, self-worth, and stability that stem from secure attachment, you may attempt to cultivate these feelings through your caretaking behaviors; they give you a sense of purpose, value, and control. As such, enabling may become an important part of your sense of identity and emotional wellness—even though such feelings and behaviors are ultimate destructive for both you and your parent. When your parent decides to seek addiction treatment, you may experience deep relief and hope. However, your loved one’s recovery will inevitably result in changes in family roles that often bring on complex feelings and challenges. The deeply ingrained patterns of thought and behavior that have been created by the presence of addiction are now disrupted and your sense of identity is thrown into disarray. You may struggle to find your place within the changing family dynamic and feel lost: who are you if you are not the clown? Who are you if you are not the hero? 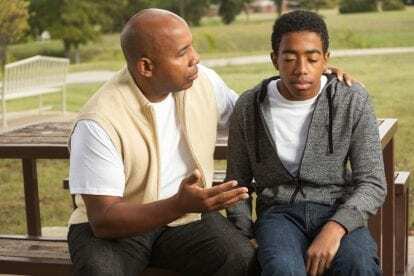 Often, a parent’s recovery is particularly difficult for an adult child who has taken on the role of enabler. Not only does the acknowledgment of your parent’s addiction force you to face difficult truths for which you have worked to shield yourself, the idea that your caretaking is no longer needed can be disorienting. Enabling behaviors may have provided you with significant emotional benefits and helped you cope with not only your parent’s addiction but your own psychological pain. In such circumstances, the end of enabling may feel like a threat to your relationship and can make you feel deep shame, causing you to be reluctant to seek help for fear of judgment. In order to support your loved one’s recovery while breaking through the damaging family roles of addiction, it is imperative that your loved one’s treatment program offers dedicated family support services. By working with clinicians with the training, experience, and compassion necessary to guide you through the changes brought on by recovery, you can process your emotions, identify destructive relationship dynamics, and find healthier alternatives. In a safe and nonjudgmental environment, you will be able to explore your feelings about both your parent and yourself to better understand your experiences and your evolving needs. As a result, you can foster closer bonds, set appropriate boundaries, and discover who you are beyond your parent’s addiction. At the same time, you can connect with support groups and individual mental health services to ensure you have the resources necessary for furthering your self-development. This is particularly important for enablers in order to heal from the psychological pain that causes codependency and prevent entering into future codependent relationships. Healing from addiction is not just a project for your parent, but must be an endeavor for your family as a whole. With the right supports, you will be able to create both healthier relationships and more a more positive, stable, and fulfilling life for yourself. Alta Mira offers comprehensive treatment for people struggling with addiction as well as co-occurring mental health disorders. Contact us for more information about our renowned Bay Area program and how we can help you and your loved one start the journey toward recovery.